Parameters are used to pass values between applications. When the target application is a query, we recommend adding a global variable in the WHERE clause to filter the records that meet a specific condition. 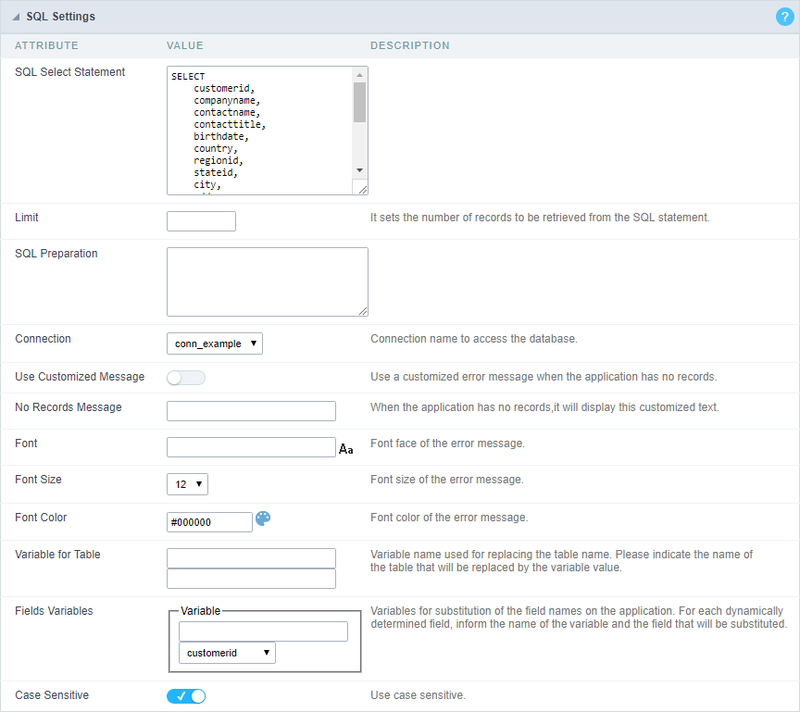 To configure the parameter, in the destination application, access the SQL option in the left side menu. 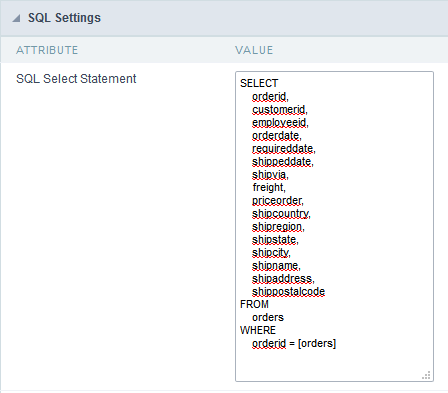 We must edit the SQL of the grid application, adding the WHERE clause and the field that receive the value through a global variable(as shown in the image below). after edition, we must generate the source code of the application clicking on the button - - or using the hotkey F8.